In the struggle for losing weight, we have all tried a lot of diets; the most common is to consume fewer calories. Although it can be effective, first you have to go hungry, and you do not always get the expected result. But, how about turning your body into a fat-burning machine? How? Well, this is possible with the ketogenic diet. The ketogenic diet is a nutritional system based on the reduction of carbohydrates and the consumption of more fats and proteins, causing an increase in the burning of body fat to turning it into the energy required by the brain and muscles. 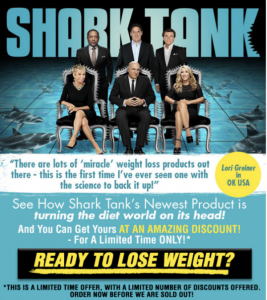 You will be amazed at the results, a reduction of body fat and weight loss in a relatively quick way compared to a traditional diet. Does the ketogenic diet have side effects? For being a low-carb diet, there are usually some symptoms such as halitosis, leg cramps, headache, among other side effects. I will explain to you about each of these symptoms and what to do in each case. Leg cramps: Sometimes it is just a mild discomfort; in other cases, it can be quite painful. The low-carb diet increases the need for urination, which leads to the loss of minerals, especially magnesium, and results in this symptom. Drinking plenty of water and increasing salt intake. By increasing your water and salt consumption, you are counteracting the loss of magnesium and increasing the levels of electrolytes in your body. This way you can avoid the annoying cramps in your legs. Taking magnesium supplement. According to the doctors Jeff Volek and Stephen Phinney in their book The Art and Science of Low Carbohydrate Living, you should take three slow-release tablets a day for 20 days, and then continue with one tablet per day. If cramping persists, you can increase your carbohydrate intake, but remember that this will also decrease the results of your diet. Headaches are the most frequent symptom, in addition to feeling tired, with a lack of motivation, nausea, and difficulty thinking; however, these annoying symptoms disappear after a few days, and you can avoid them easily by drinking water and consuming salt. Can you avoid these unpleasant annoyances? Yes. To avoid symptoms caused by dehydration, it is important to drink more water. I recommend adding a little salt to a large glass of water and take it when symptoms appear. Another nice way to consume more salted water is to prepare a delicious chicken or meat broth. You should also ingest more fat to get a feeling of fullness; in this way, you boost your energy when you are on a low-carb diet. Remember that these flu symptoms will disappear after a few days; you have to be patient while the body adapts and becomes a fat-burning machine. If the symptoms are very unpleasant and hinder your quality of life, you can increase the amount of carbohydrates consumed, but do not forget that this will only slow down the process and the results will not be so evident. This symptom usually appears at the beginning of the ketogenic diet because of low fiber intake. Drinking more water and consuming enough salt. I insist you have to increase the amount of liquid so that the colon does not dry out, avoiding constipation. You should also increase your salt intake. You can also resort to a mild laxative. Drink plenty of water and consume salt. When you are in ketosis, there is less saliva to drag the bacteria so you may have bad breath. Therefore, try to drink plenty of water and increase your salt intake, especially if you feel dry mouth. Good Oral Hygiene. Yes, it is true that brushing your teeth regularly will not prevent this smell that comes from the lungs, but it will help to reduce it. Using mouthwash and breath fresheners will also help to reduce the smell. You can decrease the ketosis by consuming a little more carbohydrates, but remember that this also influences the fat-burning result of the diet. 1.Water and salt. The truth is that most symptoms are caused by lack of water. So, before you start your workout –one hour or thirty minutes before- drink a large glass of water with half a teaspoon of salt. 2. Do not be discouraged; your body will take some time to adapt. Your body may need several months to get used to extracting energy from fat instead of burning glucose. Keep training; the more you do it, the quicker the adaptation process will be. 3. In the first weeks of following a ketogenic diet, you will feel your heart beating faster and faster; this is due to dehydration and lack of salt. Therefore, you should not worry; these palpitations will have disappeared after two weeks. 4. Drink plenty of water and increase your salt intake. If this symptom persists, you should drink more water and increase your salt intake, as I have previously recommended. 5. Seek medical advice. You may experience an increase in the heart rate if you have diabetes or hypertension. Reducing glucose consumption decreases the need to ingest medications, so your dose can be very high, and there will be an increase in palpitations; therefore, it will have to be modified or eliminated. This is a disease linked to type 1 diabetes, and it is not related to a low-carb diet. Sometimes, there is confusion with ketosis, which is a natural and safe state of the body that allows to quickly burn large amounts of fat. Prolonged dehydration can lead to the production of gallstones; however, a ketogenic diet does not necessarily generate these consequences, since other factors can cause them. High cholesterol and triglyceride levels. Some users of this diet have had an increase in LDL (bad cholesterol). Actually, a ketogenic diet causes an increase in good cholesterol (HDL) and reduces triglyceride levels. Hair loss. It is usually a temporary situation not related to the ketogenic diet. Skin rash: When some people are in ketosis, they experience itching and skin irritation. This is due to the presence in high concentrations of ketones in sweat. In addition to the symptoms I mentioned before, there are other questions about following a low-carb diet, usually based on misunderstandings and myths about keto foods; that is, they are fears without scientific basis. Will the brain stop working because it does not consume carbohydrates? The brain does not need carbohydrates to feed; the brain can make it from fats. In the liver, fats are converted to ketones, and these are used as energy for the brain. 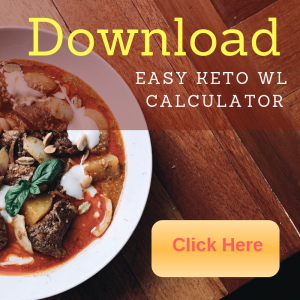 Are there nutritional deficiencies in the keto diet? Quite the opposite. The foods consumed in a ketogenic diet are highly nutritious. For example, eggs are one of the most nutritious foods on the planet; in the same way, meat and fish are basic in a low-carb diet. Does this diet affect the thyroid? Absolutely not; it is important to follow a well-structured ketogenic diet replacing flour, starches, and sugars for healthy fats such as avocado, coconut or nuts. A diet that makes you feel full can help reduce the dose of medication. Does it hurt the kidneys? No, a ketogenic diet will not affect your kidneys. There are people who believe that a low-carb diet means it is high in protein, but it is not, it is actually rich in fat. Absolutely not; however, it is true that the first days in the ketogenic diet you can feel lethargy, irritability, tiredness, and difficulty concentrating. As I mentioned before, these symptoms are eliminated by consuming plenty of water and increasing salt intake. In conclusion, the ketogenic diet is recommended for everyone; however, if you have any special health condition, it is advisable to consult your doctor before starting the diet. To continue with the diet in the most healthy way, it is important to have the best information available. On the internet, you can find a lot, but unfortunately, a lot of it is not very good. On this page, I will tell you the best option on resources that I have found. One of the most recognized authors on low carb diets is Dr. Jeff Volek, Professor in the Department of Human Sciences at The Ohio State University. Which he published in 2010, along with Eric C. Westman, Stephen D. Phinney. the book “New Atkins for a New You: The Ultimate Diet for Shedding Weight and Feeling Great”. A book where you can learn a lot of information that can help you lose weight and feel better. 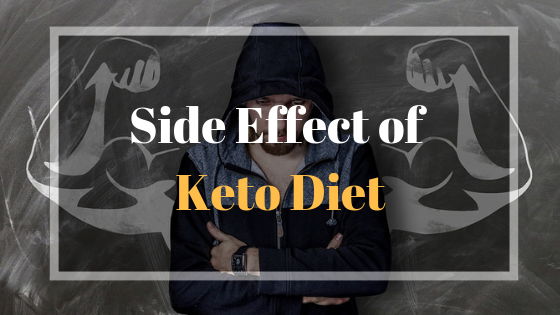 On the first weeks of your Keto Diet, your body will adjust their chemical balance and you may feel some side effects. Learn more about them and how to deal with them.